You, our customers, give us recommendations for stores who might be a good fit to carry the Mirrix Loom. 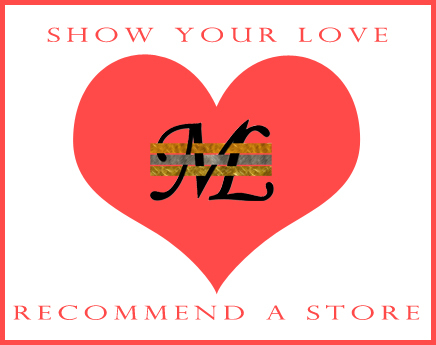 Email us store recommendations and, if we approve the store, we will email you back with information you can either print and deliver, mail to or email to the store. That card will have information about our products as well as a code that will allow them to be part of our trial-wholesaler program. If they decide to take part, we’ll give you a $25 gift certificate to the Mirrix Looms store. Email us (elena@mirrixlooms.com) with your store suggestions. If we approve the store, we will email you with printable information for you to deliver to the store (either in person, by mail or by email). If they decide to participate in our trial-wholesaler program, we’ll email you a $25 Mirrix Looms gift certificate good in the Mirrix store towards looms, accessories or anything else we sell! We are always looking for great stores to sell our products. A successful store knows and understands our looms, at least at a basic level, and has staff who can talk confidently about our products (we, of course, are happy to virtually train). We have always been very careful about choosing stores to carry our looms because we want to make sure they are well represented. We realized recently, as we brainstormed ways to find the best stores out there, that the people who know those hidden gem stores are you, our customers (and their customers). You love Mirrix and you love your local bead or yarn store, so why not bring the two together. You get to be the matchmaker and get a little bonus to boot! Ever heard of lifehacks? They’re little things in life you can do to make life easier. For example, using a binder clip to help organize your computer cables or freezing unused fresh herbs in an ice cube tray with oil. All the great lifehacks on Pinterest got us thinking about MirrixHacks. We hear from customers all the time who have come up with great little tricks to make warping or weaving easier. We’d love to crowd-source some of these hacks to share! What MirrixHacks do you use? One of my favorite MirrixHacks? 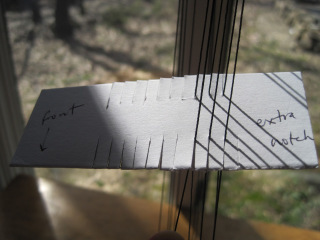 The “comb” method of warping for bead weaving with the shedding device! Read about it here. Email me elena@mirrixlooms.com with information about your MirrixHack (and a picture if possible) and we’ll feature them on a future blog post and send you any one of our bead patterns for free!